There are plenty of activities around LoRa in Europe, especially in The Netherlands. Open and totally free, city wide networks are being deployed thanks to “The Things Network” team, but also commercial country wide deployments by operators like KPN. At the same time, LoRa in North America seems to lag slightly behind, most likely due to FCC regulations calling for more complexity and sophistication in a gateway component. In Europe, the LoRa gateway needs to have just one SX1301 concentrator capable of supporting up to 8 separate bands. with duty cycle restricted to <1%. In North America, FCC defines 64 x 125kHz channels and 8 x 500kHz channels (plus 8 downstream channels), however it calls for min 50 channels to operate at full power. FCC regulation requires hopping over at least 50 channels when using maximum output power. It is possible to have end-devices with less channels (at least six 125 kHz channels) when limiting the end- device transmit power to 21 dBm. NOTE: please see the post about hybrid mode operation. Since Samtech’s SX1301 concentrator operates in hybrid mode and provides 8 x 125kHz + 1 x downstream channels, you can see that a “full” gateway will require 8 SX1301 concentrators thus making it relatively complex and expensive in comparison to European counterpart. 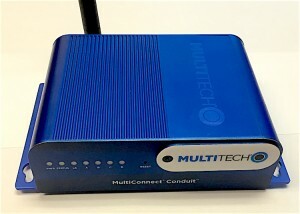 At this point, gateways from Multitech operate with just one SX1301 concentrator, thus operating in hybrid mode on one of the 8 sub-bands (with 8 channels per sub-band). Lab-link will be using 6 Sx1301 concentrators, which apparently will allow them to operate at full power (“full gateway mode”), most likely by providing 48 125kHz and 6 500kHz channels at the same time (to be confirmed). At the same time, Kerlink already provides engineering samples of their gateways operating in hybrid mode. NOTE: please see the post about hybrid mode operation. In the near future, I will write a dedicated post to clarify confusion behind LoRa frequency requirements for North America. Since, I am writing this article in Canada (Industry Canada follows closely FCC regulations), I will be testing North American variants. 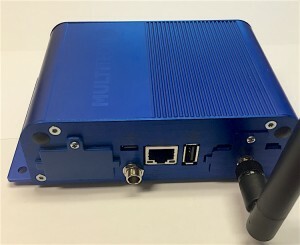 For the gateway, I will be using ultra versatile Multitech Conduit preloaded with mLinux.In addition, I installed Multitech’s LoRa module with a single SX1301 and operating at 915MHz frequency. Since one SX1301 can handle only 8 channels or 1 sub-band I will have to choose one in my configuration. I also decided to start with Multitech MultiConnect mDot Developer Kit. The mDot provides DB9 and microUSB connectors. In order to use AT command set, you will actually need to connect both to your system. The DB9 will be your actual console, and the USB will provide power plus can act as a debug console, if needed. First, we need to configure the Multitech Conduit. Unit comes preconfigured with 192.168.2.1 and no default gateway defined (meaning that you will not be able to access it from outside your LAN). My version did not come with a 3G radio which most likely would be configured as your default route. In order to change the IP to accommodate your setup you can either ssh (as root with password root) to 192.168.2.1 (just change your laptop’s IP temporarily and connect it directly to Multitech’s box) or you can use supplied screwdriver 😉 and remove the front Multitech logo to get access to a USB console port. You can see that I not only modified the IP address but I also added a gateway statement which basically defines a default route on your network (router’s IP address) and I also defined a DNS server. Since the system is also intended to work with a 3G radio and dynamically assigned IP addresses via DHCP server of your mobile operator, /etc/resolv.conf will not persistently hold your changes. This is the quickest way around to get your statically defined DNS server into resolv.conf. For the first config, we will use private LoRa network. The Multitech box contains several components to allow you to act as a gateway or gateway + network server. Actually, you can also add your application server there as well. For our testing, we will not really use an application server. Initially, I will use gateway + network server functionality to display incoming packets via mqtt. So, let’s configure our Conduit box to work as gateway+network server in a Private LoRa mode using North American band. Where name and passphrase are at least 8 characters long, your frequency band is defined as 915 (915MHz North American band), network defined as private (public : false) and frequency sub-band is defined as anything between 1-8 (needs to match configuration on mDot). Allright, we are ready to switch to mDote Development Board. Connect your DB9 cable as a console and USB as a power source and debug interface. If you want to setup the virtual USB COM port for debugging at this time, install STMicro’s ARM mbed serial port driver, but everything you really need is a serial port with the mDot’s default LoRa AT command app. Now, we should try to send something back, but before we do that, allow me to clarify something. Bi-directional end-devices (Class A): End-devices of Class A allow for bi- directional communications whereby each end-device‘s uplink transmission is followed by two short downlink receive windows. The transmission slot scheduled by the end-device is based on its own communication needs with a small variation based on a random time basis (ALOHA-type of protocol). 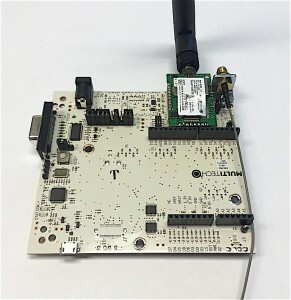 This Class A operation is the lowest power end-device system for applications that only require downlink communication from the server shortly after the end-device has sent an uplink transmission. Downlink communications from the server at any other time will have to wait until the next scheduled uplink. Bi-directional end-devices with scheduled receive slots (Class B): End-devices of Class B allow for more receive slots. In addition to the Class A random receive windows, Class B devices open extra receive windows at scheduled times. 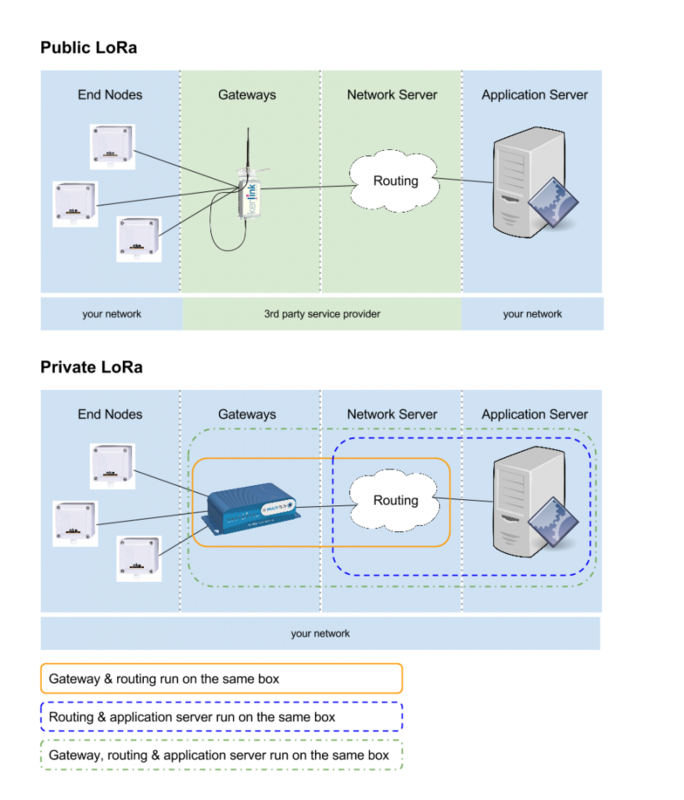 In order for the End-device to open it receive window at the scheduled time it receives a time synchronized Beacon from the gateway. This allows the server to know when the end-device is listening. Bi-directional end-devices with maximal receive slots (Class C): End-devices of Class C have nearly continuously open receive windows, only closed when transmitting. Class C end-device will use more power to operate than Class A or Class B but they offer the lowest latency for server to end-device communication. Since we operate as class A, we can only send packets back to a node AFTER receiving uplink transmission from that specific node. So in practice, we will first send a packet from our Conduit (it will wait in a queue). Before we do that, we need to know the unique id of our node. I believe that by now, you have a brief understanding and some limited hands-on experience with LoRa. In the next post (Hands on with LoRa in North America. #2), I will discuss Public LoRaWan configuration followed by testing with HopeRF LoRa radio module with Teensy MCU. Thanks for valuable feedback, I will update it in a few days. Can you provide more details? I am assuming that you are using Conduit and Multitech node, correct? Both are configured, to use public network, so your timeout is longer than in case of private network. You also need to provide App and Net IDs instead of Session key values;..